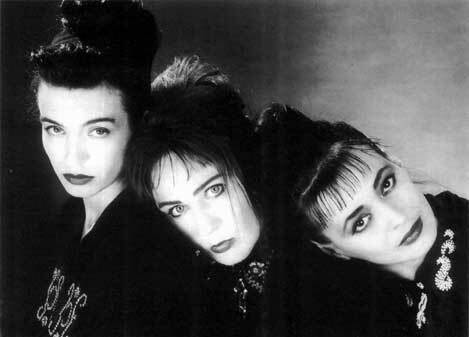 After the 1987 release of their first album A TOUCH BEYOND CANNED LOVE on WHATS SO FUNNY ABOUT they began to explore the unlimited worlds of MIDI and sampling. The cover version single STOP IN THE NAME OF LOVE and their second album SUN were released 1989/90 by NORMAL Records and although recieving consistantly good reviews i.e." most intelligent pop heard for a long time...", they continued to remain outside the established music mafia. In 1991 their 3rd Album ECOUTE which was released on MOABIT Records. Produced by themselves it is a sum total of the Matador experiments to that date. This is music that dares to experiment on the one hand, while brandishing commercial cliches on the other. It drives by shooting arrows of melancholy or flowers of love. Baring the souls of three women, their eyes, the tears, scars layed out, the feast, the fury, yours to listen to and dream along.